The Experience Workshop - Movement for the Experience Centered Education of Mathematics was started in 2008 with the cooperation of the scholars, artists and educators of Pecs - Ars GEometrica, the preparatory event of Bridges Pécs 2010 World Conference. 2000 children and 100 teachers partricipated in our recent events. Now, the Kaposvar University prepare to host us. 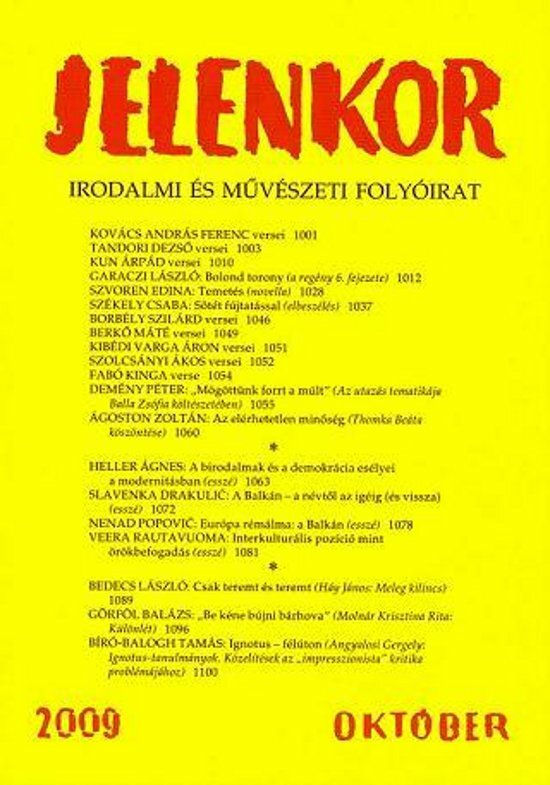 The East-West Passage project gladly inform its participants, audience and supporters that the Jelenkor Journal published a selection of lectures from the East-West Passage 2008′s 2nd MEETING AT THE BALKAN GATEWAY - INTERNATIONAL INTERDISCIPLINARY CONFERENCE. Thanks to the authors and the editors for this great issue! Join us at the East-West Passage 2009! Sipos Julia′s radio interview with Kristof Fenyvesi on the boardgames in the digital media. 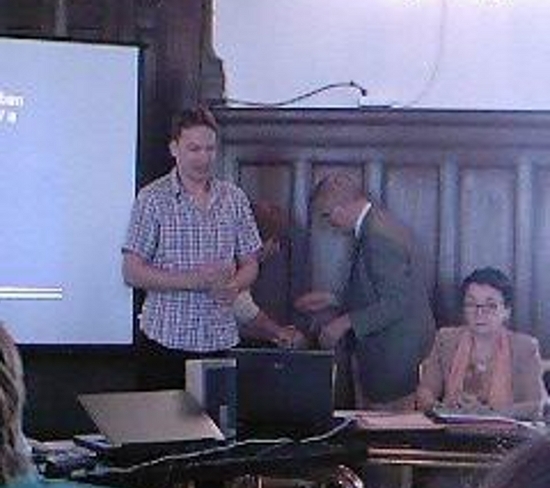 It is the aim of the Pécs - Ars GEometrica (PAGE) project, initiated in 2007, that results of the interaction between the representatives of the arts and the sciences should be brought to the attention of a wide circle, and that the varied opportunities offered through mutual application be displayed. 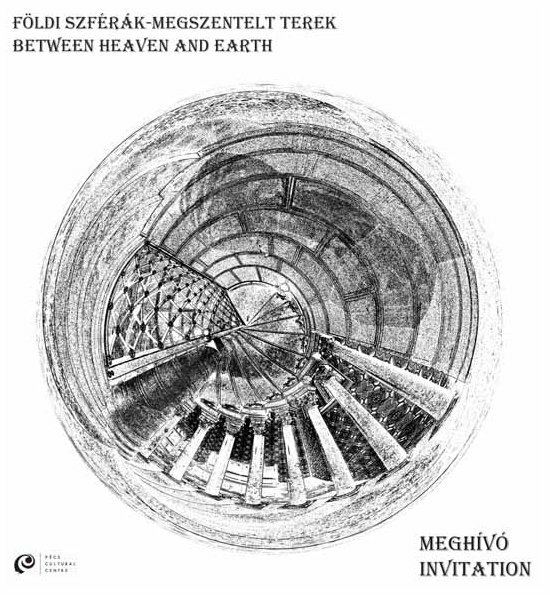 In the past three years invitations to Pécs have been accepted by almost 150 academicians and artists from nearly twenty countries; people who find the joint development of a creative approach to the world′s phenomena, intellectual curiosity, imaginativeness and aesthetic sensitivity important. 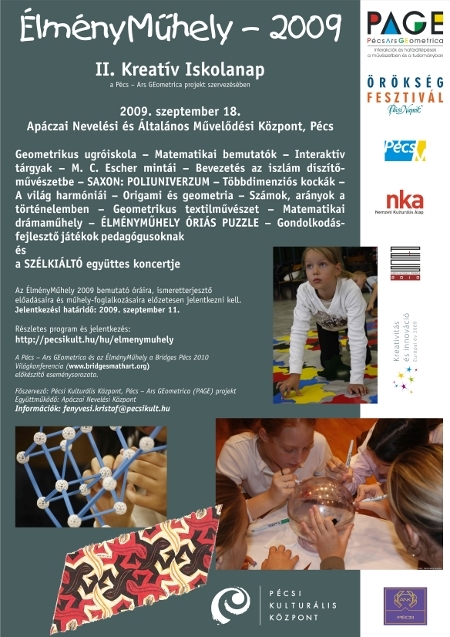 This is the second occasion when PAGE and the Apáczai Education Centre advertise the Fun Workshop, opening the school gates wide to all children, teachers and other interested parties who see in geometry and mathematics not only a strict discipline but would like to see and show the tools of mutual experience, discovery and the joy of creativity. The PAGE project is an official event of the preparatory series of events to the Bridges Pécs 2010 World Conference – Mathematics in Art, Music, Science and Culture (www.pecsikult.hu/bridges2010) and of the European Year of Creativity and Innovation. 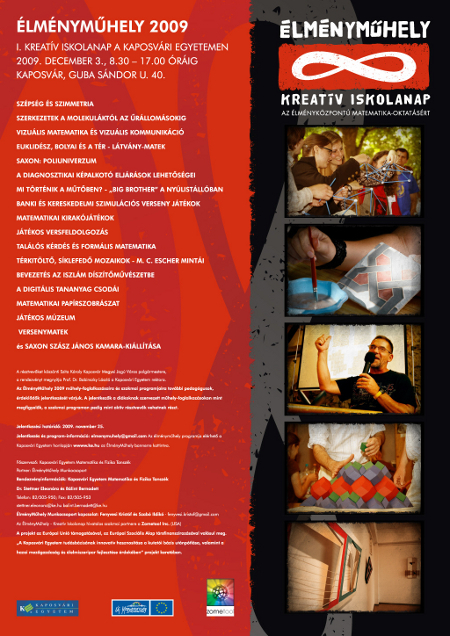 PAGE: Art-Science-Innovation in the school, the open-air and the exhibition space. Within the programme of the Fun Workshop there will be presentations by the city′s schools′ art groups and clubs. The central theme for Cultural Heritage Days 2009 is to familiarise to the general with the multifaceted representation of “Sacred Spaces”. A exhibition can be visited during the usual museum opening hours.